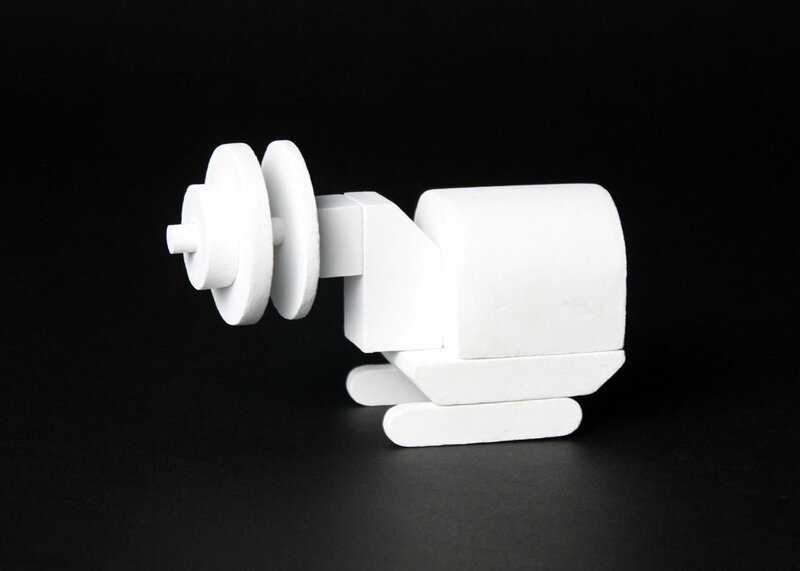 This scale model was designed as a polished version of the RadPiper: a pipe-crawling robot specialized for autonomous measurement of U-235 deposit within uranium enrichment piping. 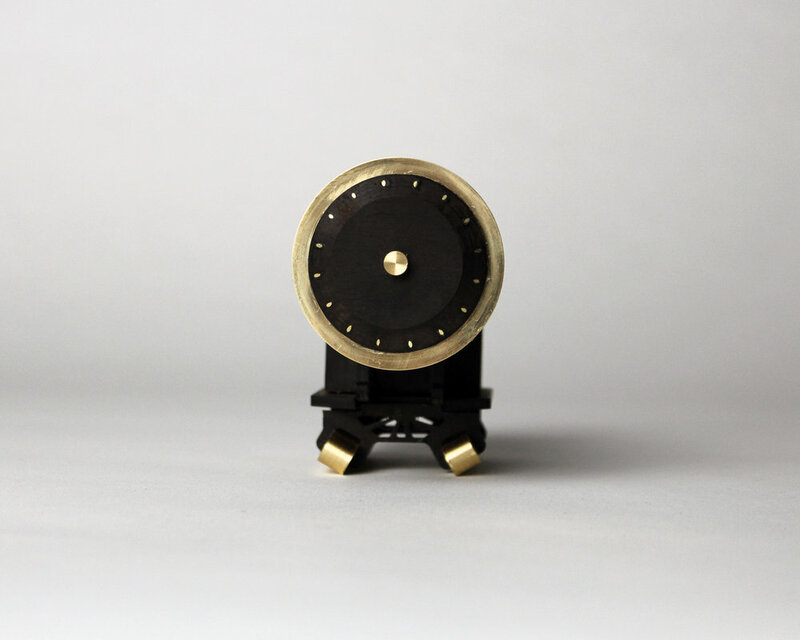 The design of the scale model relies on simplifying and refining the mechanical details of the robot in order to translate its concept to a smaller form of ebony and brass. In process, the robot was scaled down based on a SolidWorks assembly with its primary forms simplified. This informed the mock-up design constructed out of foam and gesso. 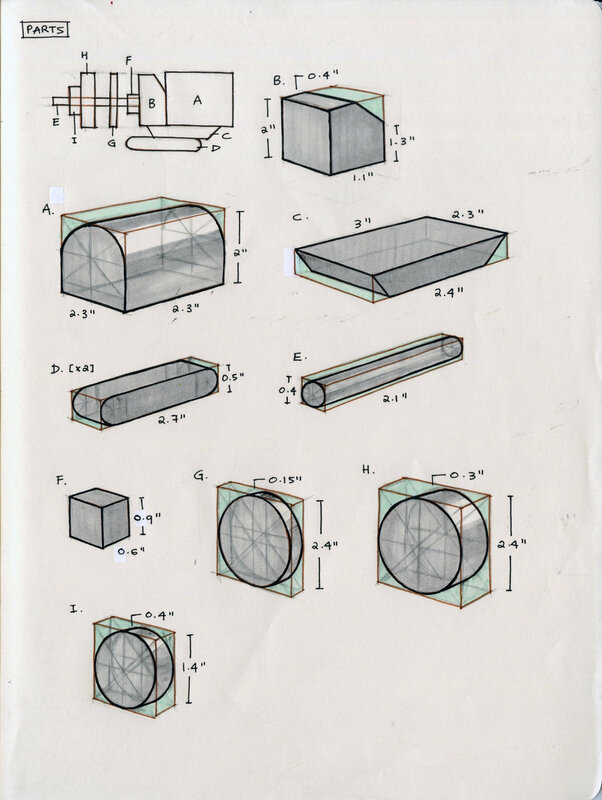 Degrees of simplification were evaluated, with heavy consideration given to the material designation of each part. 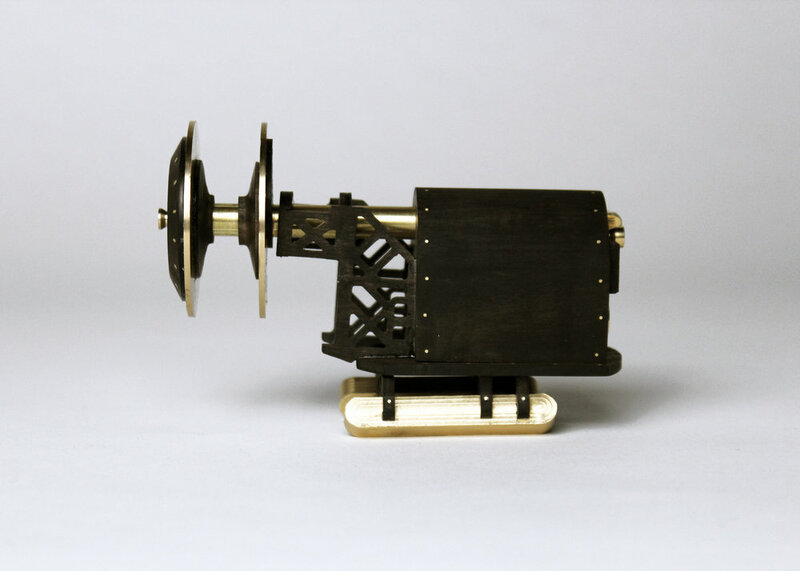 Adjustments were made to the mock-up, and the final scale model was redesigned in ebony and brass to represent the robot more accurately while smoothing over its mechanical complexities. RadPiper was developed at the Carnegie Mellon Robotics Institute. This scale model is part of the PCAMS initiative for the U.S. Department of Energy.